Comics Make Me Happy! : Wednesday Win! 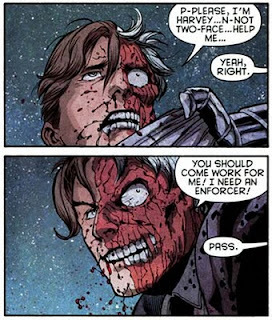 Well, it's high time one of my all-time favorite comic book characters made it to this blog. 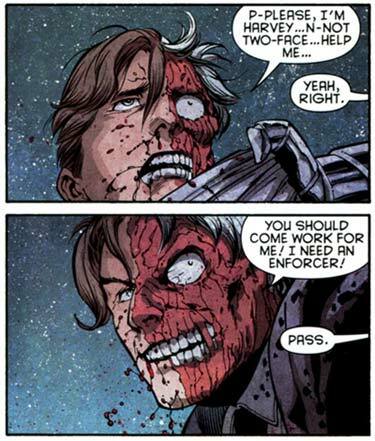 Here's Two-Face, in a moment of epic win (or fail?) that I found rather amusing. 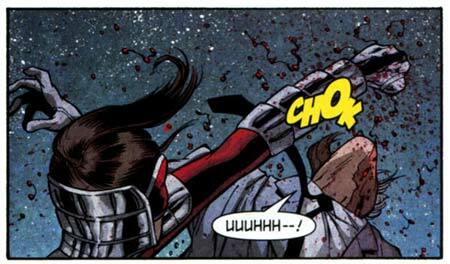 Now I'm not the biggest fan of (not-Martian) Manhunter, but I have been enjoying Kate Spencer's run in Streets of Gotham, even if she does beat up Harvey Dent. Next up: he puts on a pair of glasses and says, "You wouldn't hit a guy with glasses, would you?!"